Not every pumpkin was grown to be a jack-o'-lantern. For all those pumpkin spice and pumpkin pie lovers out there, the season's most characteristic piece of produce is a must-have for recipes. If only the pumpkin-flavored time of the year could last longer. Well, with your FoodSaver® FM2000 Vacuum Sealing System, you can lengthen the lifespan of this seasonal treat and enjoy its unique flavor at any time of the year. Here's how to seal it up for maximum freshness for all your tasty fall recipes in the off-season. For those that like to keep their veggies as close to fresh-picked as possible, sealing raw may be best. Luckily, this is easy to do with pumpkin, as you don't have to blanch is like other cruciferous veggies and herbs. First, cut it open just like you would a jack-o'-lantern and scoop out all of the stringy innards and seeds. These can be discarded. Then, peel the pumpkin, leaving just the flavorful flesh behind. Cut the flesh into smaller chunks for easy vacuum sealing. After you've locked in the pumpkin's freshness in a FoodSaver® bag or roll, put it in the freezer for later. This is the best way to preserve the taste and texture of that fall produce while protecting it from the elements and freezer burn. However, if you already know this pumpkin will be used for pie, you might want to take a different approach to make the prep easier down the line. Baking, pureeing and vacuum sealing will give you a savory mash to thaw and cook any time you need. 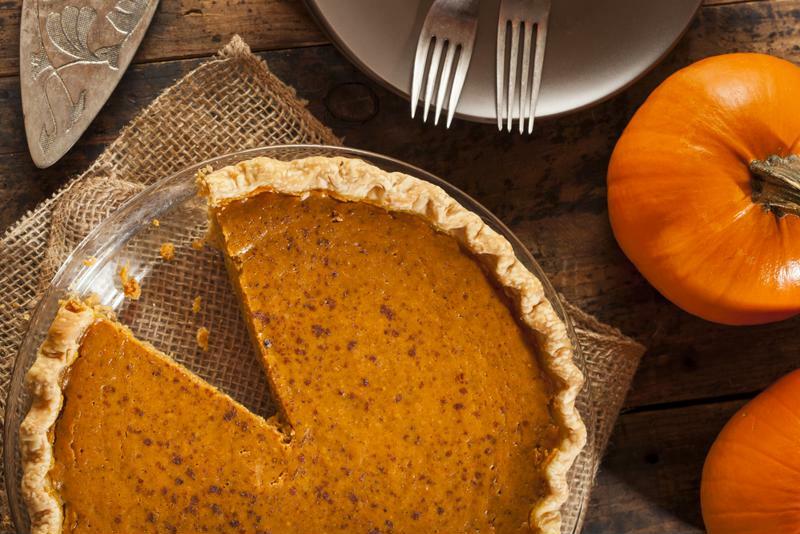 Pumpkin puree is easy to vacuum seal and perfect for making pumpkin pie months later. Heat your oven to 300 degrees. You don't have to prep the the pumpkin aside from washing. Do not cut it. Put the whole pumpkin into the oven on a pan and bake for approximately 2 1/2 hours or until the flesh on the outside is tender. Take the pumpkin out of the oven and let it cool. Once it has reached a temperature that is warm but not too hot, cut off the top and take out the innards and seeds. You may also notice a fair amount of pumpkin juice inside the pumpkin or on the pan. Set the liquid aside for later. Begin cutting the pumpkin into small portions that can fit into a blender. While cutting into portions, remove the pieces from the peel. Put the pumpkin flesh into a blender and puree. Add pumpkin juice if you would like a puree with more moisture. You may have to do this several times depending on the size of the pumpkin. Scrape the puree from the blender into a FoodSaver® bag or roll. Vacuum seal, throw the puree in the freezer and voila! You now have a tasty pumpkin puree to bake and cook with whenever you get a craving for fall food.